It's been a while since I've posted, and again, it's been hectic. 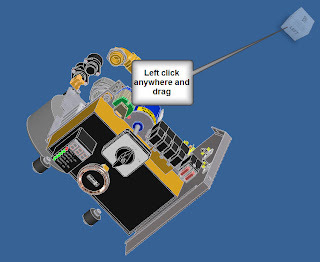 But here's at least one of those 'little things' that I've noticed poking around in Inventor. When you're using the view cube (which I've been practicing with), you can use it to orbit too. If you click anywhere on the cube and drag, you can orbit your part without having to go to the icon, or your F4 key.